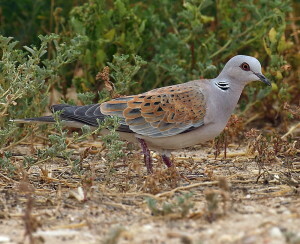 The domestic European Turtle Dove is not difficult to keep making it popular among novices who wish to raise exotic doves. 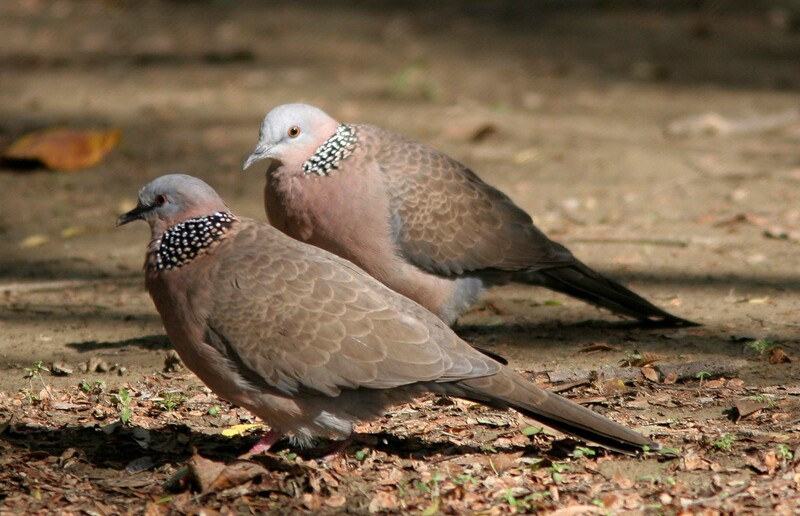 They eat the seed diet common to most Dove species and also do well with live food from time to time. Because they are active birds they require a medium to large flight cage. 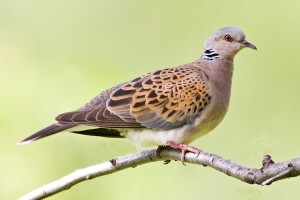 A European Turtle Dove must not be caged in a small cage. 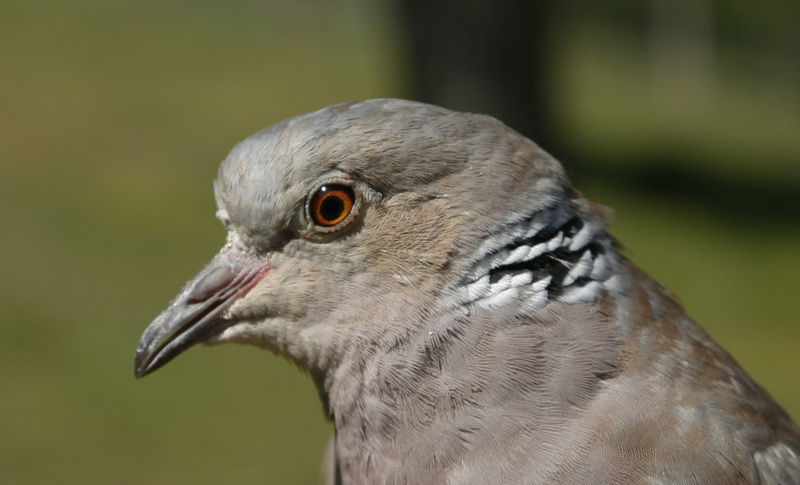 Research shows that the European Turtle Dove is breed easily in captivity provided they are given privacy. 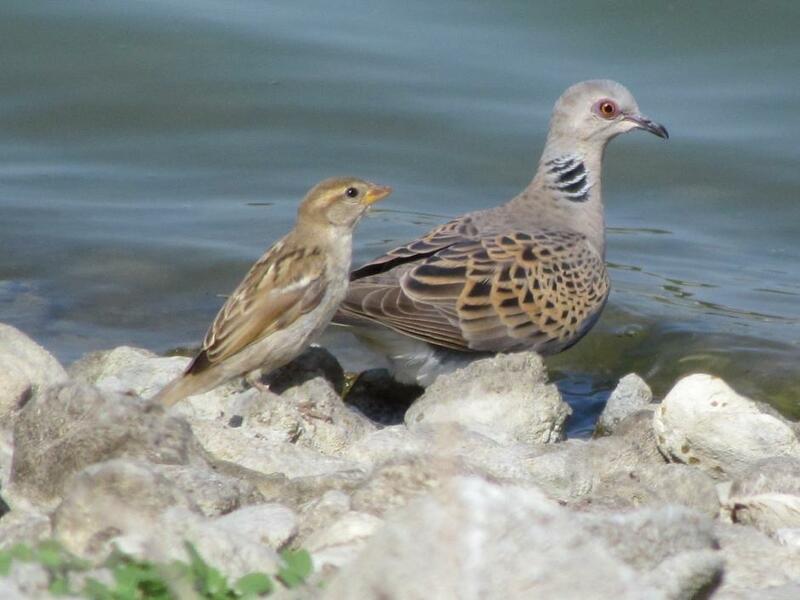 The European Turtle Dove displays pretty rusty brown feathers, a pinkish breast and neck barring, scaly wing covets and back, grayish cap and rump, and is slimmer and more finely built than the Turkish Turtle Dove. A hallmark of this lovely creature is its soft song which often sounds like a purr. 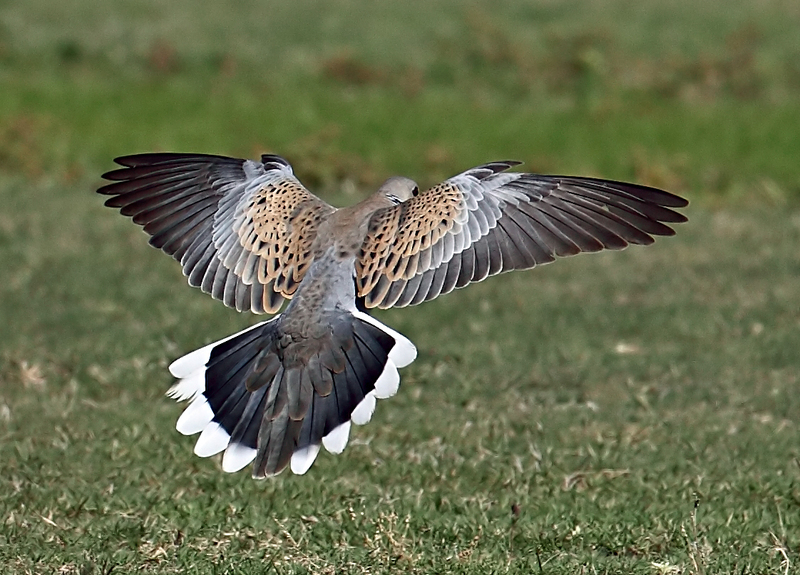 Many state that the European Turtle Dove is heard more than it is seen. 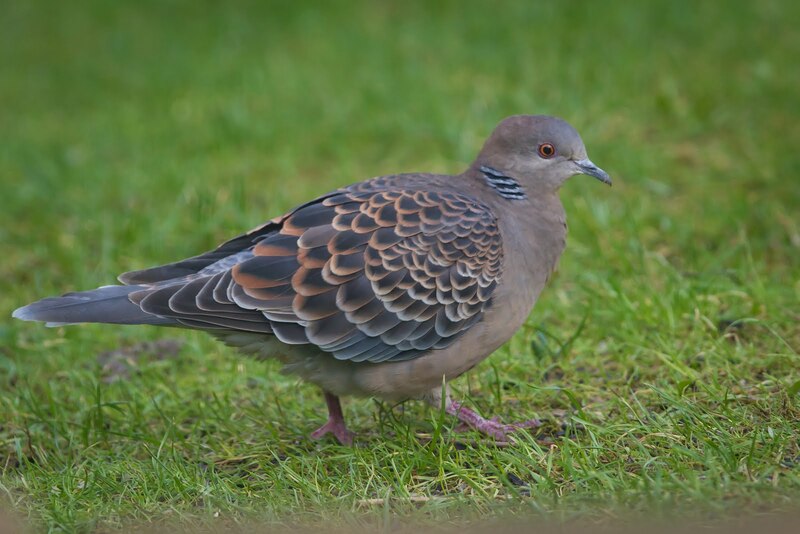 Originating from the Isle of Man The European Turtle Dove is also seen in the United Kingdom (UK) in the summer months at it is a summer migrating species. 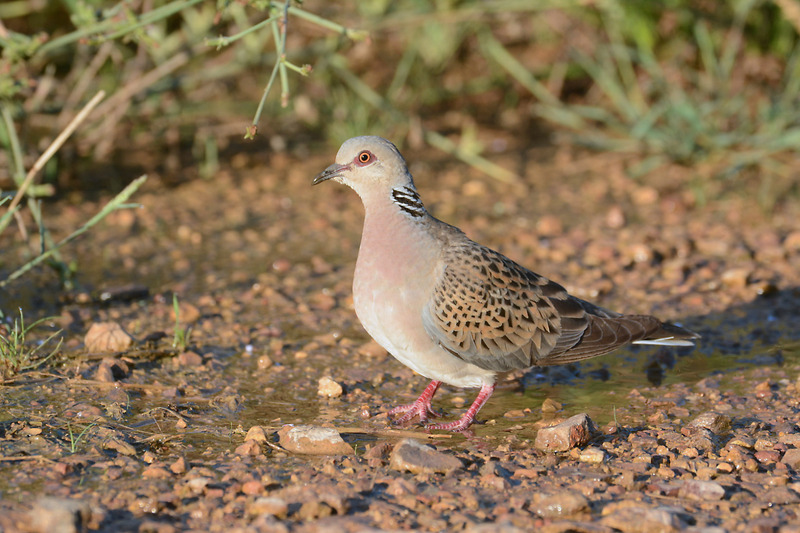 In the past large numbers of Turtle Doves could be seen in various parts of the UK, sometimes numbering in the hundreds in a single flock. It was not uncommon to see hundreds of Turtle Doves lined together on overhead cable lines. Today they are reaching the endangered list and have even reach the highest category of endangered birds in Britain the ‘Red List’.